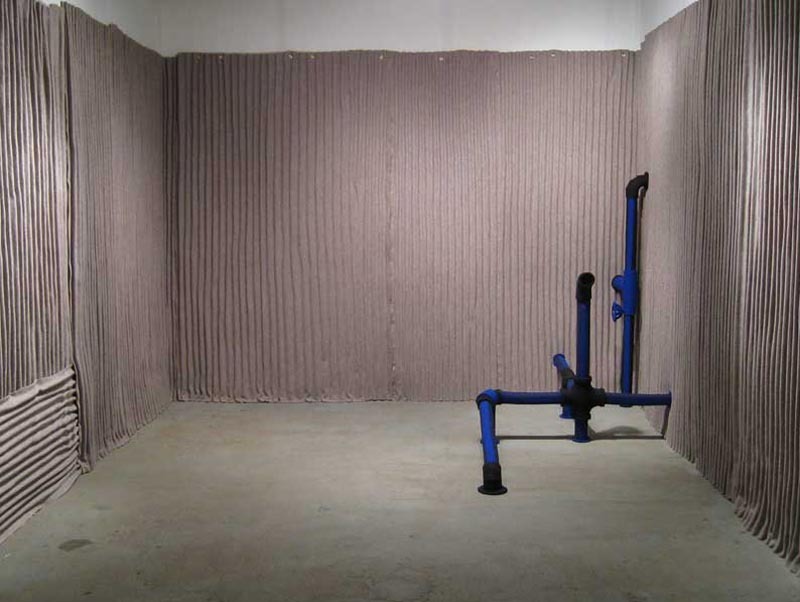 Chilean artist Johanna Unzueta, now living and working in New York, uses felt as a sculptural material to build structures and objects that bring attention to the history of labor. 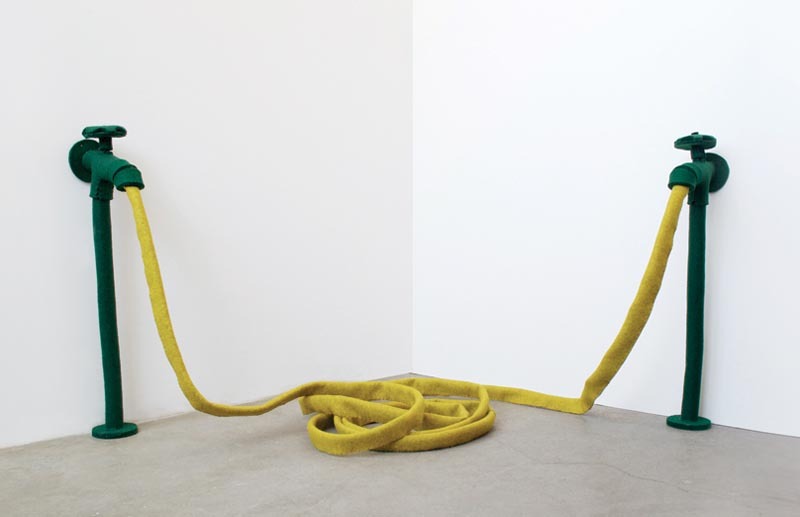 Increasingly interested in site-specific installations that engage with the space,Unzueta has been constructing pipes that go in and out of corners, or ladders that lead to an imaginary attic. It would be fun to have that oversized felt hinge as an area rug. Unzueta will be having a show at NYC’s Vogt Gallery this January 2013. 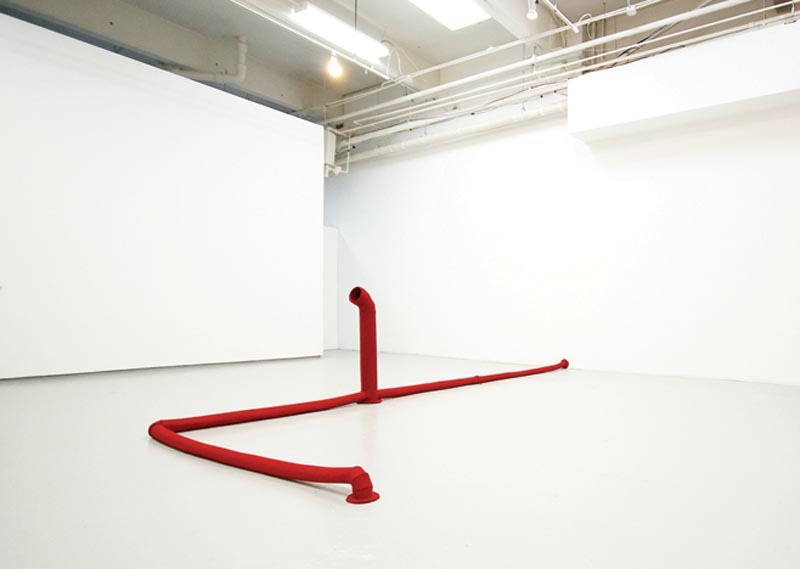 Photos artdaily; vogt gallery; virtualia; and la nube loca.